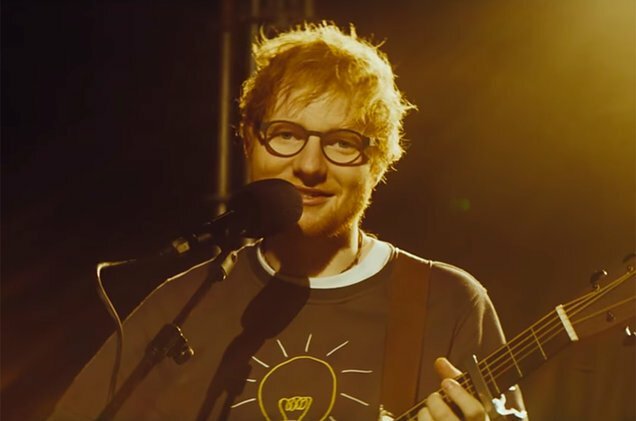 Ed Sheeran releases his brand new album ÷ (Divide) and he is celebrating with a new single. The long awaited day has finally arrived, 3 March is the day Ed Sheeran finally stops teasing us with hits like Shape of You and Castle on the Hill and drops his long-awaited new album ÷ (pronounced: Divide). Sheeran took to Twitter yesterday to express just how exicitedted he is about the launch. Just over 24 hours and ÷ is released ! In a new song called Eraser, which is said to be the opener of ÷, Sheeran talks his life, career, insecurities, and accomplishments. The lyrics sound pretty personal to Sheeran, starting out with a reflective line similar to the beginning of Castle on the Hill: "I was born inside a small town but I lost that state of mind." Watch below as he performs the song live for SBTV, who featured him as an artist seven years ago and helped launch his career.